Pike Peak 14 days is is a moderate trek. Travelers who can walk up to 5/6 hours a day on an uphill and downhill trail will find this trek fulfilling. 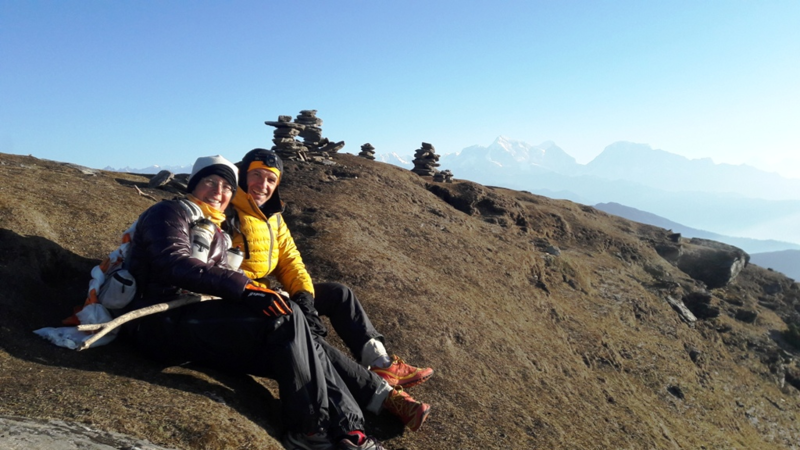 It is best that we prepare ourselves for the Annapurna trek by jogging and exercising regularly at least a month prior to the start of the trek. Trekking to the Everest Base Camp should be relatively easier for those who have experience walking/trekking in a high altitude environment. Past hiking experience would be an asset but no technical skill is required for this trip. It is also important that we consult our doctor. Participants with pre-existing medical conditions such as heart, lung, and blood diseases should inform Discovery Mountai Trek before booking the trek. The best time to trek to the Pike Peak Trek is Spring (February to May) and Autumn (September to November). The temperature is moderate in these seasons and guarantees amazing views through the trip. Although this trek can be undertaken during winter, the cold temperature might not be suitable for everyone. 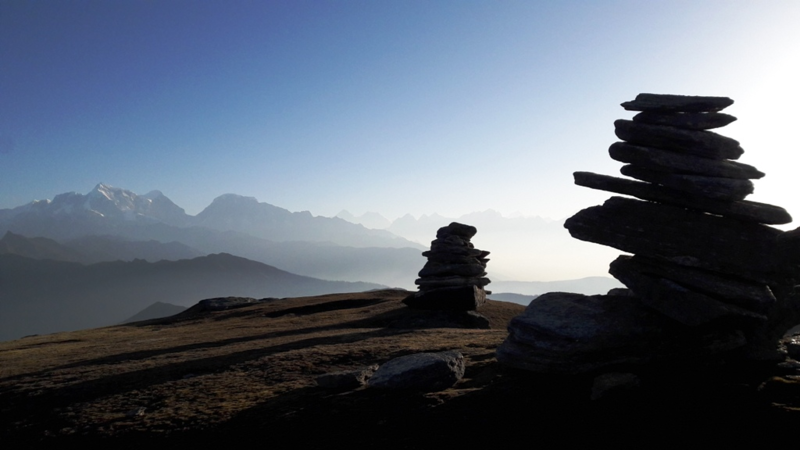 The Pike Peak Trek is one of the most beautiful, off the beaten track, parts of the Himalayas. 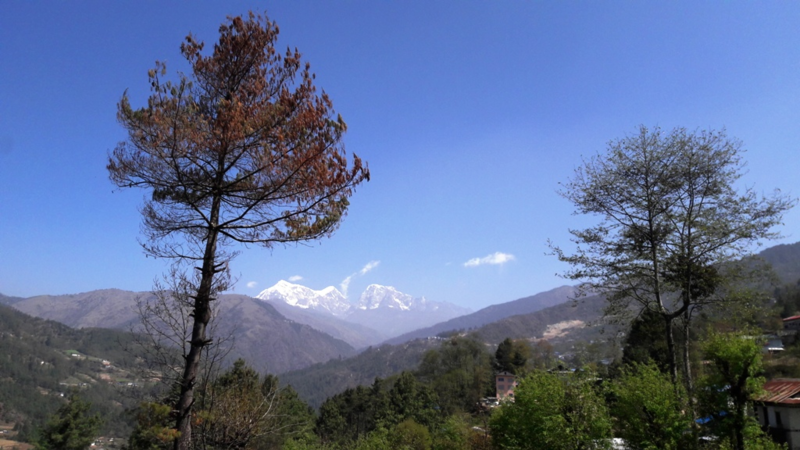 In the foothills of the Khumbu region, it offers outstanding views of snow-capped mountains and a chance to experience some of the Nepali cultures. The road will climb to 4068 meters and will require a moderate level of fitness, but will be a very rewarding adventure. The name Pike comes from the two titles of Sherpa according to the region, Sherpa from Solu and (Chyabo Pike). Sherpa from Gholi is (Ghole Peak), Ghole Pike with the Chyabo across east to west. The month of July is a time of great celebration as the locals worship their clan god, the eastern Chyabo Pike, as Pike Karbu in the celebrations. This is a trail through Jiri-Chaulakharka-Ngaur-to reach the Pike Daanda (Hill) area. Another trail leads from Pike Daanda to Phaplu through Paanch Pokari and Tamakhani located north east of the Salleri district. 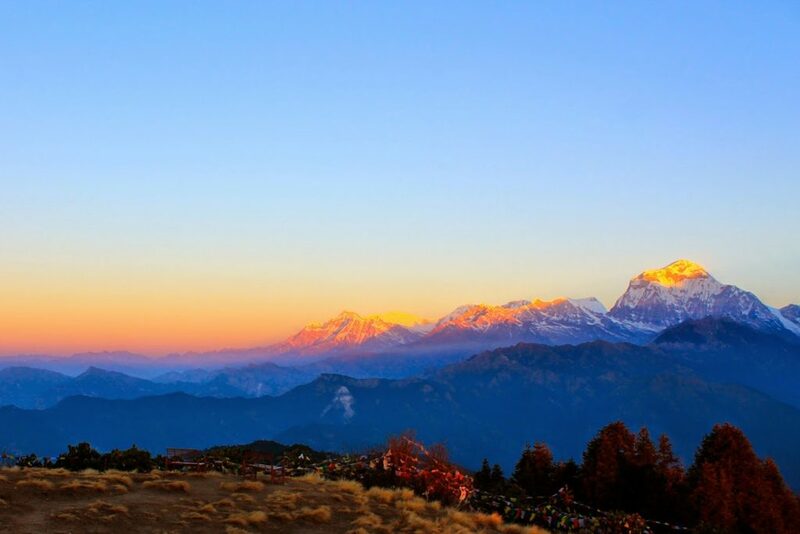 The Pike Daanda is most popular for its sunrise and sunset views and one can enjoy the glorious sight of the peaks beyond the Kathmandu Valley to the plains along with the Himalayan range of Mt. Everest, Makalu, Kanchanjanga, Manaslu and Annapurna. Today, departure from Kathmandu towards Jiri located at 1955 meters above sea level. Crossing Bhaktapur, Banepa, Dhulikhel, Dolalghat, Lamasanghu where the temples and rituals are numerous … You continue through the rice terraces, the green hills. From the Kusheshwor Temple, your road runs along the waters of the Sunkoshi River to lead you to the doors of Tamakoshi Bazar. The winding track meanders along the mountainside and progresses through the pine forests. You gain altitude and arrive at the end of the day in Jiri. This village is inhabited by the Jirel people, sherpas and Sunwars. After breakfast, you pass through several small hamlets in the Mali region. 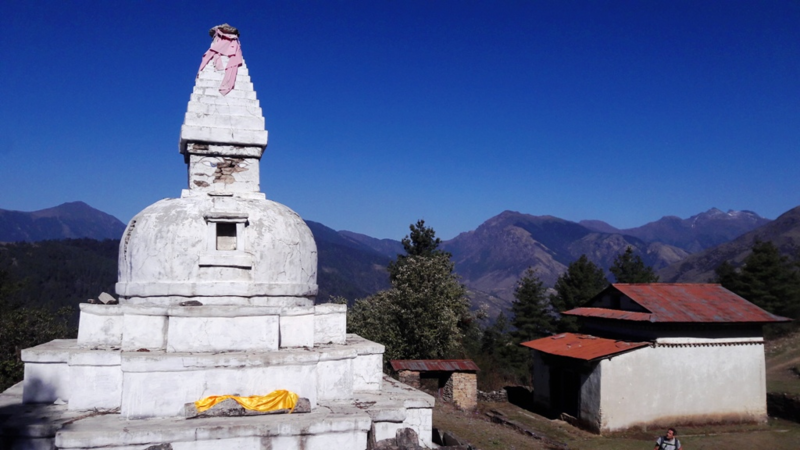 A steady climb takes you to the village of Malidanda, from where you can admire the breathtaking panorama of the Langtang, a timeless region inhabited by the Mongolian Tamang ethnic group, as well as the Gaurishankar (7134 m), the second highest peak of the Rolwaling Himal. Descent along the river Khimti Khola and crossing the suspension bridge that allows you to reach the village of Shivalaya, ethnic Chetri. 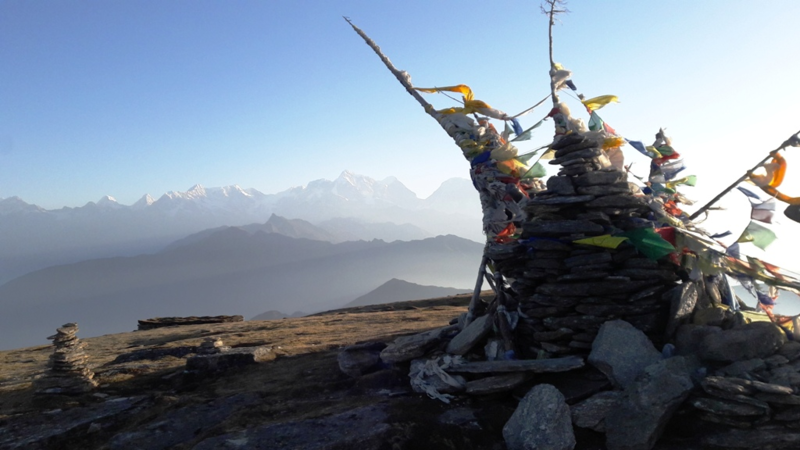 This morning, you continue your trek to Deurali located at 2705 m, whose walls are covered with mantra “om mani padme hum”. You live in the Solu region in the heart of the low Sherpa country, facing the snow-covered Himalayan range. During the descent, you cross a forest and cross small hamlets with Sherpa influence. Arrival at the Buddhist village of Bhandar. Today you descend to the Likhukhola River and leave the classic path to Everest. You go up to the village of Namkhili by fields with diverse cultures, and begin to see the summits of Numbur and DudhKunda. Arrival in Gumba Danda, where you spend the night with a Nepalese family. This morning, you walk through a forest with varied vegetation and arrive at the small village of Ngaur, located at 3350 meters, for lunch. This afternoon, in the heart of a landscape increasingly arid, and continue trek to the base camp of Pike Peak. Tomorrow early in the morning, you begin your climb to Pike Peak, which rises to 4068m above sea level. The name of this summit comes from a Sherpa deity, “Chyabo Pikey”. Up there, you contemplate the views of Everest (8848 m), Lhotse (8501 m), Nuptse (7864m), Makalu (8483 m) The sunrises are spectacular! You go down to the camp to have breakfast and walk along the ridge to Lamjura Danda. On a clear day, the peaks admired from the top of Pike Peak are visible all day long. From Lamjura Danda, your trek continues to Junbesi. On the way, crossing the villages of Taktur and Saling, to discover the daily life of the inhabitants of the region. You enter the heart of a beautiful forest of rhododendrons to reach the Lamjura Pass, which offers a grand spectacle on Everest. Gentle descent to the village of Junbesi where you spend the night. Today, you discover Junbesi, the cradle of Sherpa culture and architecture, and its surroundings. Visit the Thupten Choling Monastery at 3000m altitude, home to more than 700 Nyingmapa monks and nuns, the oldest Buddhist school whose members are nicknamed “red hats”. This monastery was founded by His Holiness Trulsik Rinpoche in the 1960s, after his flight from Tibet. From Junbesi, you continue your trek surrounded by the Thamserku (6608 m), the Mera Peak (6476 m), the Numbur (6959 m) and other surrounding peaks. You alternate between ups and downs along the river to reach the village of Ringmo. Free morning, you can stroll in this small village and go to see his cheese factory. After lunch, visit the Chiwong Monastery perched on a mountainside. Founded in 1923, it is one of the three monasteries where the Mani Rimdu festivities take place, the most important sherpa religious festivals. These festivals are punctuated by several ceremonies and periods of meditation. This morning, descent through a beautiful forest of rhododendrons and continuation to Phaplu. Afternoon free to enjoy your last moments in the Nepalese mountains. We catch an early morning flight to Kathmandu after our long mountain journey. After reaching in Kathmandu transfer to hotel and Afternoon we start to visit two of the most historical and spiritual attractions in Kathmandu, the sacred Hindu temple of Pashupatinath, and Buddhist shrine (Bouddhanath), which is also one of the largest stupas in the world. There will be a farewell dinner in the evening to celebrate the successful completion of our journey.